Morning all!! Hope everyone is having a wonderful Memorial Day weekend! Normally I probably wouldn’t post on a holiday, but I’m here to talk about something bigger that just the food you see here today. I thought that I really knew what it meant, but when Jessie over at Life As A Strawberry contacted me about participating in The Sustainable Seafood Blog Project to spread the word and get even more people talking, I learned a whole lot more. Previously, I assumed that eating “sustainably” just meant that we shouldn’t consume any type of fish or seafood that is endangered or close to extinction – and that’s a lot of it, but not quite everything. At its simplest definition it means to fish or farm seafood in a way that promotes the vitality of the fish, but also doesn’t disturb the oceanic ecosystem or other sea creatures in the process. Take a look at this graphic Jessie put together that really paints a picture of what we’re dealing with. I’ll be the first to admit that sustainability previously wasn’t something that was at the forefront of my mind when choosing my seafood and it’s obvious it’s not at the top of other minds as well. I witnessed this first hand the other day, when I went to a local meat and seafood market known for their knowledge and quality of product. I was sure I’d find a well-informed person that could recommend something sustainable for me to take home since most labels are so ambiguous. When I saw a bevy of halibut behind the counter, I was hopeful that it was of the U.S. Pacific wild-caught variety. Imagine my surprise when I asked the fishmonger if this was indeed a sustainable variety and he looked at me like I was speaking a foreign language and had never heard the term sustainably in reference to seafood. After some back and forth we finally found out that it was Atlantic caught, which usually means it was caught in a bottom trawl – a destructive fishing method where a large net is drug across the floor of the ocean, catching anything and everything in its path. This is a huge problem and is one of the worst methods in catching seafood since it snatches up endangered species, rare coral and other parts of the ocean floor needed for the ecosystem to survive. Needless to say, I decided to pass on the halibut and went with a farm-raised tilapia instead. Hope you have a wonderful rest of your Memorial Day weekend! In the bottom a small food processor, combine tomatoes, garlic, nuts, pinch of salt and basil until a paste forms. With the mixer on, slowly drizzle in olive oil. Season to taste with salt. Season tilapia liberally with salt and pepper. In the bottom of a large sauté, heat a tablespoon or so of olive oil over a medium-high flame. Add tilapia, cook until golden brown on both sides and cooked through, about three to four minutes per side. Top cooked tilapia with a little bit of pesto and garnish with fresh basil, pine nuts and a little extra olive oil from the packed tomatoes. 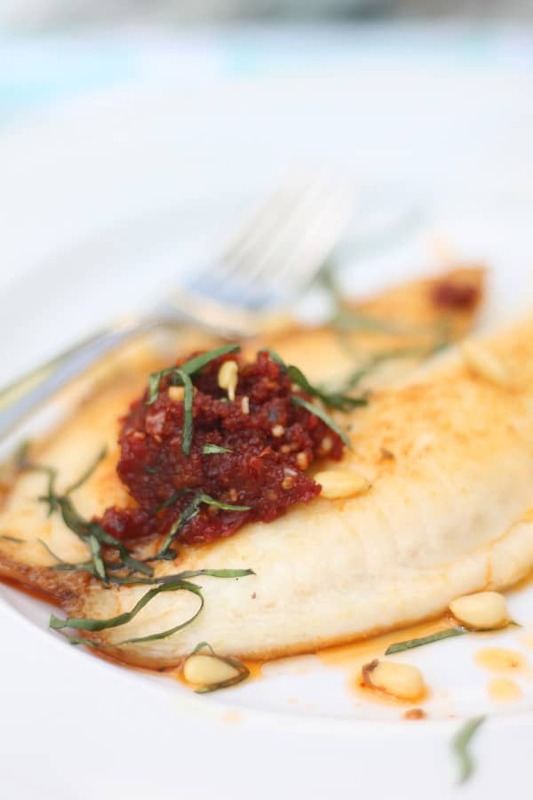 8 Responses to "Tilapia with Sun-dried Tomato Pesto- The Sustainable Seafood Blog Project"
This looks SO GOOD! Beautiful photos, too 🙂 I’m so happy to have you as a Project Partner! Thanks Jessie! Happy to be a partner! Mmm, I love tilapia! 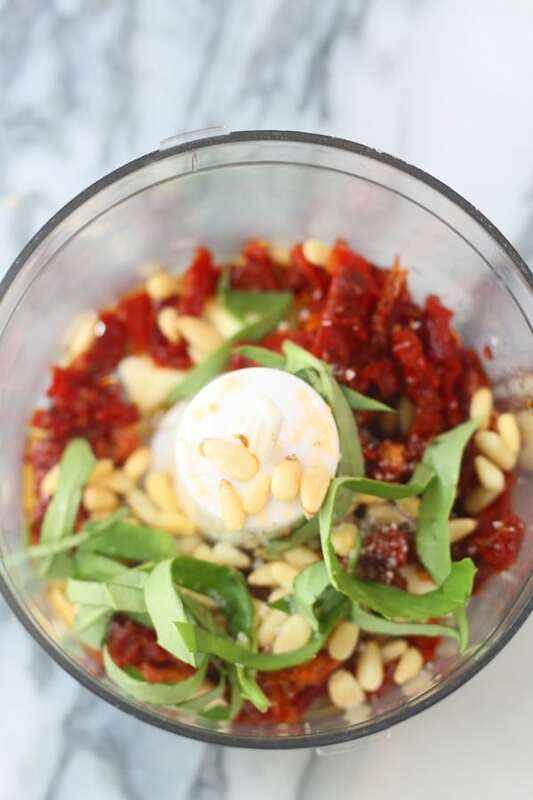 And the addition of sun-dried tomato pesto sounds amazing. Lovely recipe! Thanks Stephanie! 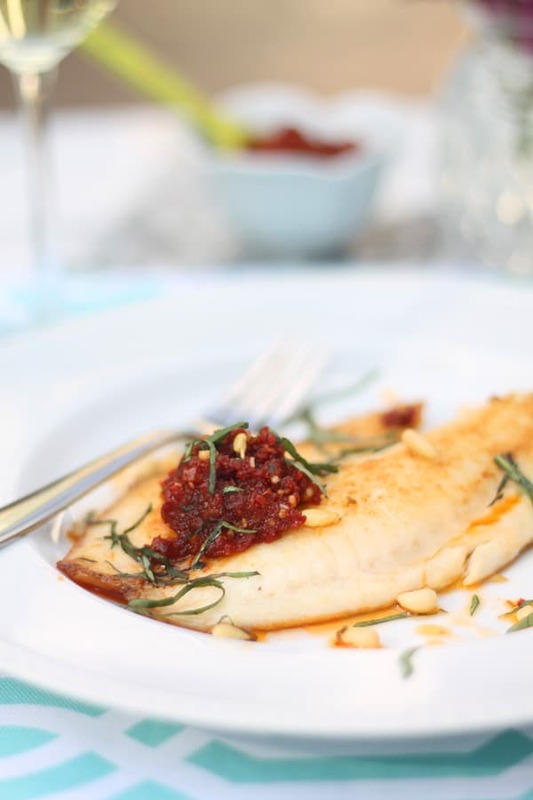 Thanks to the sustainable seafood project I’m now following your beautiful blog! This sounds delicious! 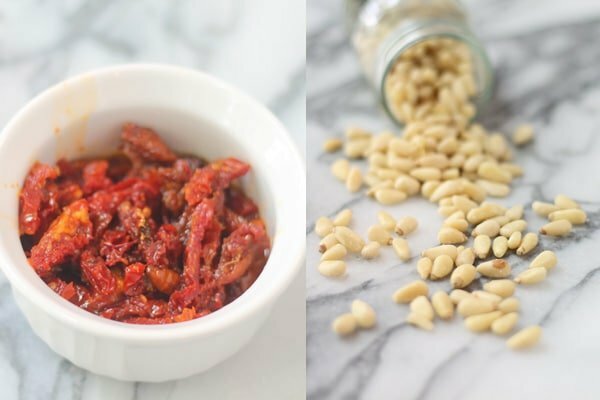 Sun-dried tomato pesto is one of my favorite pasta sauces, but I’ve never tried it with fish… definitely adding this to my to-try list! Also, so glad to discover your site through this project! Great and easy recipe Nicole! I especially love that you can easily prep the pesto during nap time 🙂 Dinner was super quick last night. Thanks! It’s going to be ending of mine day, except before finish I am reading this wonderful post to increase my knowledge.